With Okta® going public recently, a lot of interest has been generated around the web application single sign-on market. This cloud-based Identity-as-a-Service segment has continued to grow, and Okta was one of the earliest entrants who helped kick start the field. The rapidly growing IDaaS category is still a subset of the even larger overarching cloud identity management marketplace though. As Okta focuses more intently on large enterprises and growing their market share, there are a number of opportunities to complement Okta’s approach with cloud identity management. This leaves many IT organizations now searching for Okta alternatives or even more accurately, solutions that can be leveraged in addition to Okta. Before we dive into the alternatives to the Okta web application SSO solution, we should articulate what they do more specifically. Just under two decades ago, the IT landscape started to shift. Web applications started to emerge, and Microsoft® introduced Active Directory to help manage their devices. At the time, most of the IT network was on-prem and Microsoft-based. As a result, a new category of identity management solutions emerged that were focused on being the extension from AD to web applications. These solutions ended up being called web application single sign-on. The first generation of these Active Directory SSO solutions was an on-prem software platform. Okta decided to take that to the next level at the end of the 2000s, by introducing a cloud Identity-as-a-Service solution that would extend AD to web applications. The difference was that they decided to do it through a SaaS-based solution. With the explosion of web applications, they were able to cover many thousands of applications for IT organizations. The product was able to benefit the end user by allowing them to quickly sign-in to virtually any business web application. For the organizations that are leveraging Active Directory and are looking to integrate with hundreds of web applications, Okta is an excellent choice. In fact, we might argue that they have become the market leader in web app SSO. However, the discussion shifts to alternatives when you think about a broader cloud identity management platform. Many IT admins are opting to skip Active Directory or looking for alternatives to Microsoft AD because of this. These forward thinking IT admins don’t want anything on-prem, and an identity management platform has been one of the last vestiges of this legacy, on-prem world. In this scenario where IT admins are looking for a core directory service, alternatives to Okta become important to search for. Okta’s goal has been to be an extension to AD, not a replacement for it. The good news is that there are Okta alternatives that are effectively the cloud identity management solution for an organization – or, said another way, the alternative to Active Directory. The market leader in this area is Directory-as-a-Service® – a next generation IDaaS platform that serves as the central directory service for an organization. Similar to AD, Directory-as-a-Service tightly integrates with Okta to shift the overall identity management infrastructure to the cloud. Directory-as-a-Service securely manages and connects user identities to systems, applications, and networks virtually, regardless of the platform, protocol, provider, or location. In fact, Directory-as-a-Service will manage user access on Macs, Linux, Windows devices, G Suite and/or Office 365, legacy or cloud applications, WiFi networks, and more. 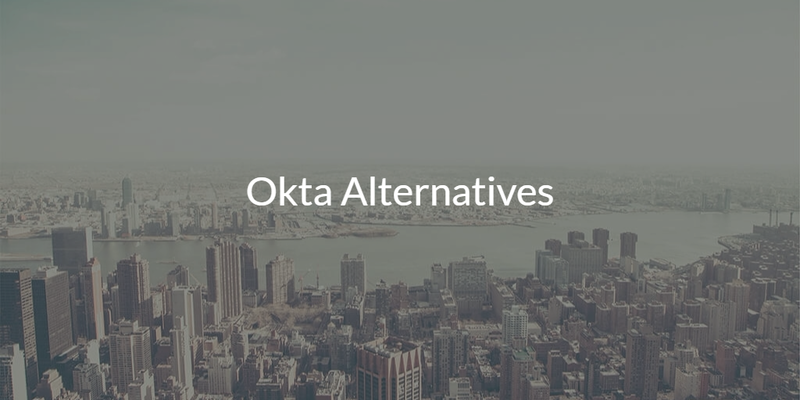 If you are searching for an Okta alternative that is more than just a web application single sign-on product, contact us here. 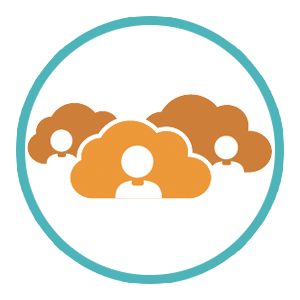 Alternatively, sign-up for a free JumpCloud® Directory-as-a-Service account and give it a try for yourself. Your first 10 users are free forever – no credit card required.